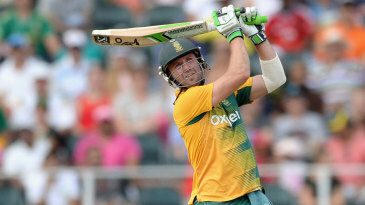 AB de Villiers is the name which every cricket might be known of. He is one of the best strikers of cricket ball in recent times. The alone warrior has got South Africa to the victory on numerous occasions with his striking and taking attack to the opposition skills. In IPL he is the best of all and no one is near catching his stats in IPL but when it comes to world t20 he is just like some other players where his stats are the same as other players. He is not rising above the crowd here and despite his ability and talent to curate the innings of his own he is still to shine at the globe level. He has played some incredible innings for South Africa but his stats are not going with his image. One can understand by analyzing following stats of ABD’s carrier how he has performed in IPL and at the world level. The Stats don't justice AB as he is a player of totally different calibre. But his average in world t20 is less than 25 and that is the biggest concern for a player of his calibre. Hope this world cup he will blast his potentials and bring a world cup to his team. I am totally supporting my team India but love the way AB strikes even our Indian bowlers. AB shuld rock but world cup should belong to only team India. Yes ab de villiers is one the most exciting player to watch out this world cup but as always every Indian is very passionate about cricket and me too willing to celebrate another winning campaign of Indian cricket.